New York Times Bestseller: An “elegant” mosaic of trenchant observations on the late sixties and seventies from the author of Slouching Towards Bethlehem (The New Yorker). 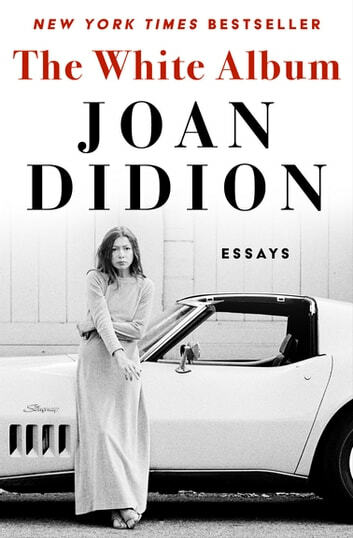 In this landmark essay collection, Joan Didion brilliantly interweaves her own “bad dreams” with those of a nation confronting the dark underside of 1960s counterculture. From a jailhouse visit to Black Panther Party cofounder Huey Newton to witnessing First Lady of California Nancy Reagan pretend to pick flowers for the benefit of news cameras, Didion captures the paranoia and absurdity of the era with her signature blend of irony and insight. She takes readers to the “giddily splendid” Getty Museum in Los Angeles, the cool mountains of Bogotá, and the Jordanian Desert, where Bishop James Pike went to walk in Jesus’s footsteps—and died not far from his rented Ford Cortina. She anatomizes the culture of shopping malls—“toy garden cities in which no one lives but everyone consumes”—and exposes the contradictions and compromises of the women’s movement. In the iconic title essay, she documents her uneasy state of mind during the years leading up to and following the Manson murders—a terrifying crime that, in her memory, surprised no one. Written in “a voice like no other in contemporary journalism,” The White Album is a masterpiece of literary reportage and a fearless work of autobiography by the National Book Award–winning author of The Year of Magical Thinking (The New York Times Book Review). Its power to electrify and inform remains undiminished nearly forty years after it was first published.